Paris (AFP) - Glyphosate, the world's most widely used herbicide and the active ingredient in Monsanto's weedkiller Roundup, is the subject of fierce controversy across the globe and is classified by the World Health Organization as "probably" being carcinogenic. A California court on Tuesday found that Roundup was a "substantial factor" in Edwin Hardeman, 70, getting non-Hodgkin's lymphoma after spraying the weedkiller on his garden for decades. The decision followed a San Francisco court in August 2018 judged that glyphosate weedkillers Roundup and Ranger Pro contributed to a groundskeeper's non-Hodgkin's lymphoma. The jurors found that Monsanto acted with "malice" and ordered the company to pay $289 million to Dewayne Johnson, who has two young sons and is in the end stages of his cancer, before the damages were reduced to $78.5 million. German chemical giant Bayer, which has seen its stock shed almost 40 of its value since it acquired Monsanto for $63 billion in June 2018, has defended Roundup. "Regulatory authorities around the world consider glyphosate-based herbicides as safe when used as directed," the group has said, highlighting "800 rigorous studies" of chemical's effects. Bayer faces a total of 11,200 US cases over Roundup and the outcome of Hardeman's case -- which has not yet brought damages against the agrochemicals giant -- has been closely watched for an indication if payouts to the others could snowball into the billions. After two years of fierce debate, the European Union's member states decided, at the end of 2017, to renew the licence for glyphosate for another five years. The EU's executive body, the European Commission, pointed to the approval of glyphosate by its two scientific agencies, the European Food Safety Authority and the European Chemicals Agency, which do not classify the substance as carcinogenic. But the independence of EFSA was questioned after media reports suggested that pages of its report were copied and pasted from analyses in a Monsanto study. The French government promised in May 2018 that glyphosate would be banned "for its main uses" by 2021, and "for all of its uses" within five years. In some areas of Argentina, which uses large quantities of glyphosate for its vast soybean crops, there are almost daily clashes between concerned residents and farmers for whom the product is indispensible. Without nationwide legislation, the mayors of individual towns and cities have passed measures restricting use of the weedkiller. Farmers generally contest the measures, further raising tensions. 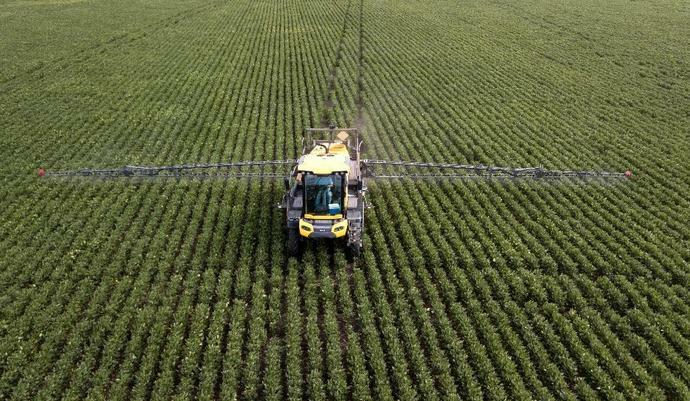 Colombia became the last country in the world to outlaw aerial spraying of glyphosate in 2015, but President Ivan Duque in March 2019 called for the ban to modified in order tackle record cocaine crops. In 2013 the Central American nation's parliament voted to ban 53 agrochemical products, including those containing glyphosate. However the ban was later lifted on 11 products -- including the weedkiller. The Sri Lankan government banned glyphosate imports in October 2015 following a campaign over fears the chemical causes chronic kidney disease. However after agricultural organisations pointed out there was no study linking the two, the import ban was lifted in July 2018, but its use was restricted to tea and rubber plantations. BUTEMBO, Congo (AP) - Militia members attacked an Ebola treatment center hours after another attack killed a staffer with the World Health Organization, a Congolese official said Saturday. A health worker fighting an Ebola outbreak in DR Congo was killed Friday in an attack on a hospital in the eastern city of Butembo, the World Health Organization (WHO) said. The attack is the latest in a string of assaults on teams grappling with a near nine-month-old Ebola outbreak that has claimed almost 850 lives. "The @WHO family lost a dear colleague in the hospital attack in Butembo, #DRC, today," WHO chief Tedros Adhanom Ghebreyesus said in a tweet.